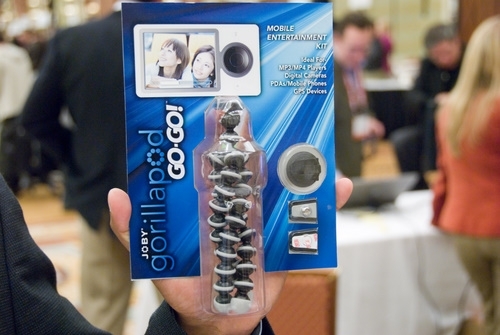 When I was in Las Vegas for CES 2008, at a press-only event called Digital Experience, I came across the folks from Joby, makers of the supremely excellent Gorillapod. They showed me their new "pod" product, the Gorillapod Go-Go, which is designed for mobile entertainment devices - including, you guessed it, the Zune (along with pretty much any other mobile digital player). It's small, portable, and has three different ways to attach to the device, including a clip that grips the device wherever you want. I'm looking forward to checking one of these out in person, so stay tuned for a review when it's released. Unfortunately I can't remember what they told me about when that was going to be, or how much it would cost (I should really write these things down), but rest assured we'll get our hands on one as soon as possible.